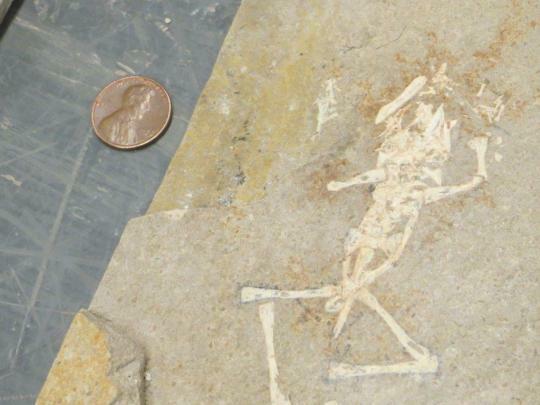 Frog fossil from eastern Nevada. of continents through plate tectonics. global spread of disease, and broad changes in land use. shares space with the holotype skull of a Jurassic crocodile. for the Carnegie’s Section of Vertebrate Paleontology. information about an ongoing study of frog fossils from eastern Nevada. expedition, so stay tuned! More frog posts are coming. Grass Frog skeleton in the CMNH teaching collection.